We look forward to developing a “provider-parent” partnership with you. We look forward to developing a physician-parent partnership with you, to meet the needs of you and your children. 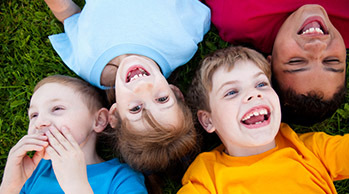 Our professional team provides the quality care your child needs and the advice and counsel you want. Convenience. We offer same day sick in our offices. Quality. All physicians are Board Certified by the American Board of Pediatrics. Excellence. Our providers and staff are committed to deliver the highest level of healthcare and support for you and your family. Having a baby is one of the most rewarding experiences in your life. At Silverton Pediatrics, we are committed to keeping your baby healthy. The professional team at Silverton Pediatrics provides the quality care your child needs and the advice and counsel you want. Our pediatricians are all board-certified by the American Board of Pediatrics. A patient-centered medical home (PCMH) means that you and your child will be surrounded by a dedicated team of health professionals; working together with you to optimize your child’s health goals using the best evidenced-based medicine, education, and resources available for your family today, thus helping empower you to take responsibility for your child’s health an give you the self-management support you need to succeed. Learn about your child, your family, life situation, health goals and preferences. Our team will recall your health history every time you seek care and will suggest treatments that make sense for your family. Take care of any short-term illness, long-term chronic disease, and your child’s all around well-being. Keep your child up-to-date on all vaccines and preventative screening tests. Connect your child with members of their care teams (specialists, health-coaches, etc.) and coordinate care with them as your child’s health needs change. Help you make the best decision for your child’s care. Give you information about classes, support groups, or other services that can help you learn more about your child’s condition and stay healthy. Know that you are a full partner with us in your child’s care. When you join our practice you will provide us with a complete medical history and inform us if you obtained interim care outside the practice. Come to each visit with updates on medications, dietary supplements, or remedies you are using and any questions you may have. Understand your child’s health condition and what you can do to keep him or her as healthy as possible. Work with us to develop and follow a plan that is best for your child’s health. If you have obstacles in fulfilling this plan, please discuss them filly with our staff. Take advantage of our weekend hours and weekday sam-day appointment options as necessary to avoid unnecessary ER and urgent care visits that may be more expensive and fragment care. Agree that all health care providers in our practice can share and collaborate on information related to your child’s healthcare.